Brock focuses his expertise on helping clients protect and grow their assets. He thrives on building lasting relationships with clients and understanding the intricacies of their financial goals. Brock is proficient in leveraging information and data to initiate improvements and maintain a high level of service to our clients. Now an integral member of the GT Financial team, Brock brings industry experience to the firm after working for several years at The Hartford, Prudential and Woodbury Financial Services. 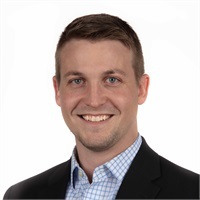 Brock grew up in St Paul, Minnesota and attended Saint Cloud University where he received a Bachelor of Science in Business Management with a concentration in Operations Management. Outside of the office, he enjoys spending time at the cabin fishing and soaking in the sunshine with a cold beverage. Best of all, he looks forward to being with his wife, Sarah, and their two little girls.